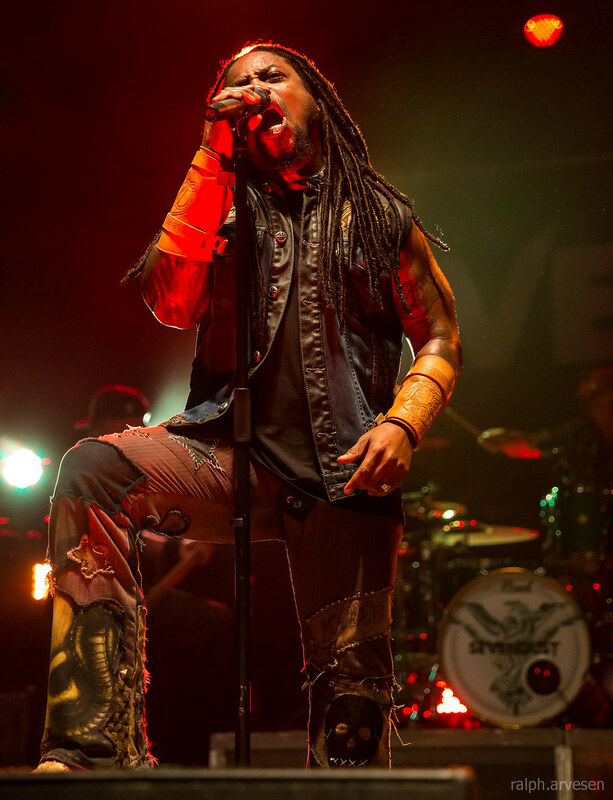 Sevendust performing during the River City Rockfest at the AT&T Center in San Antonio, Texas on May 29, 2016, with Lajon Witherspoon, Clint Lowery, Morgan Rose, John Connolly, and Vince Hornsby. 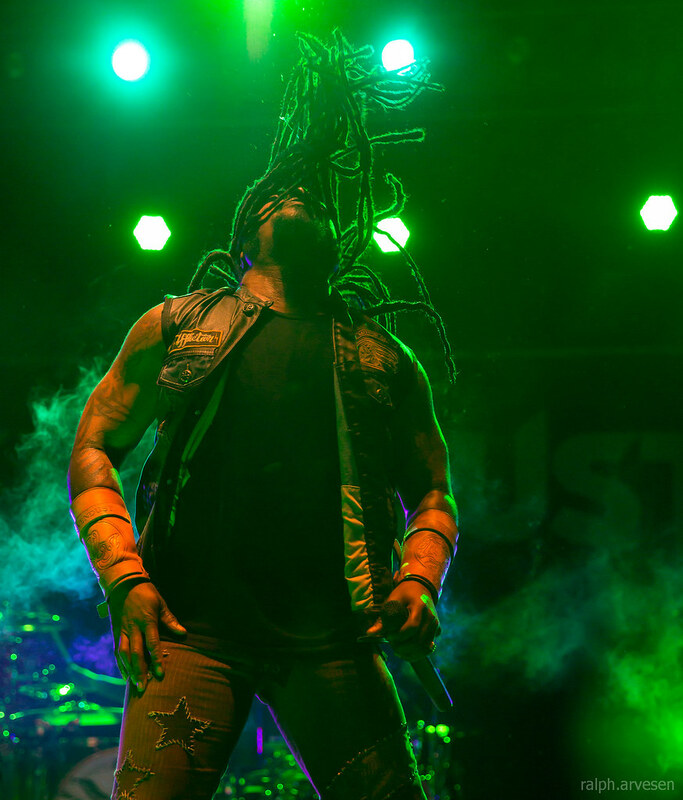 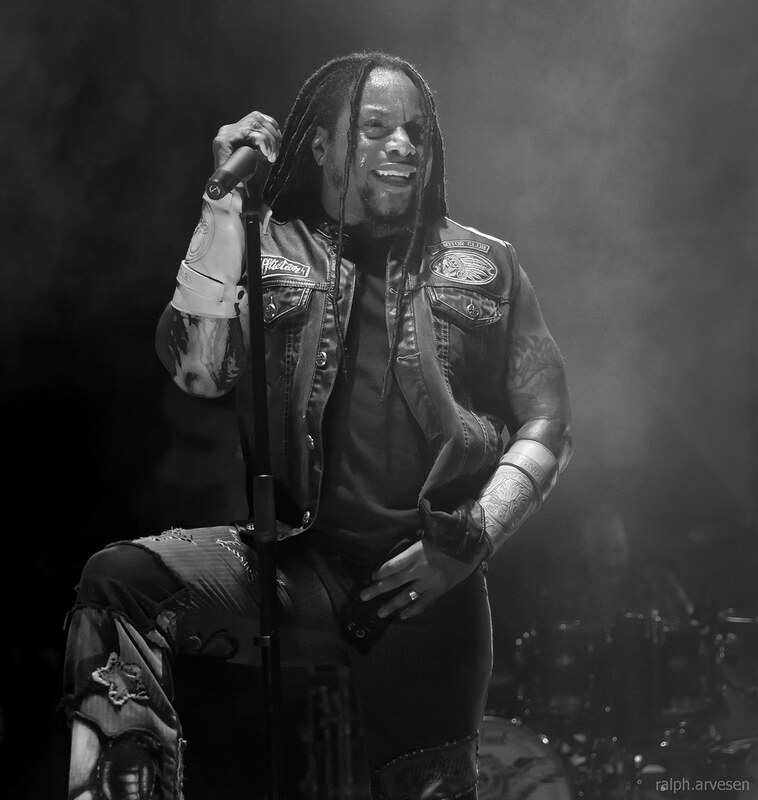 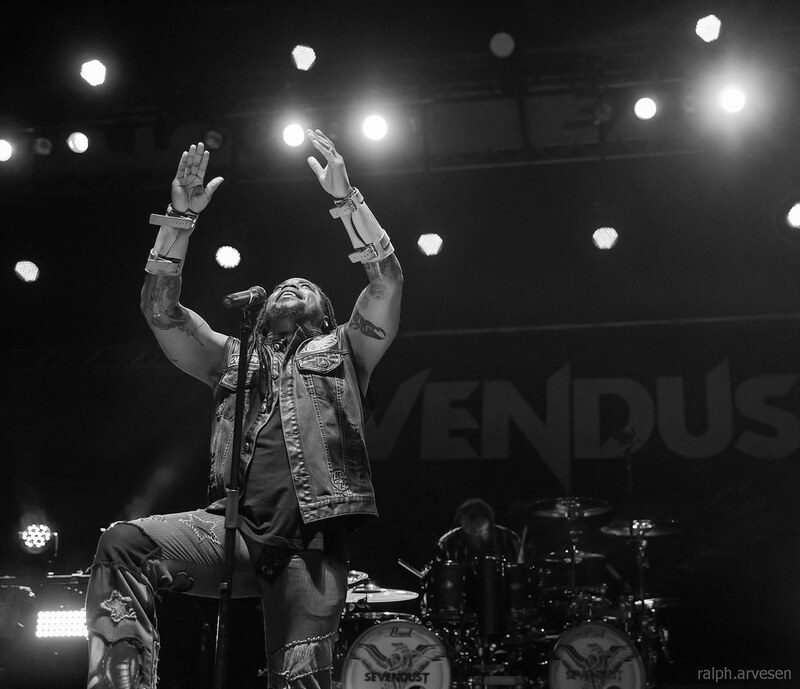 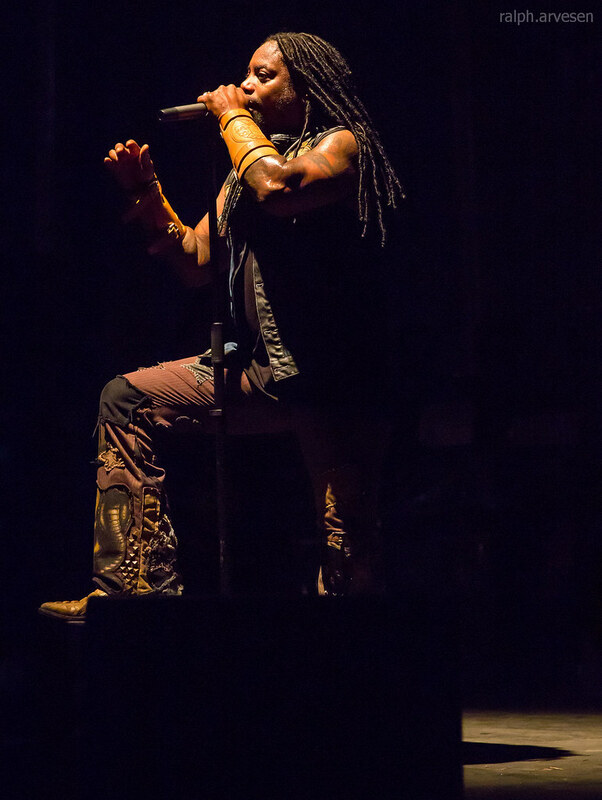 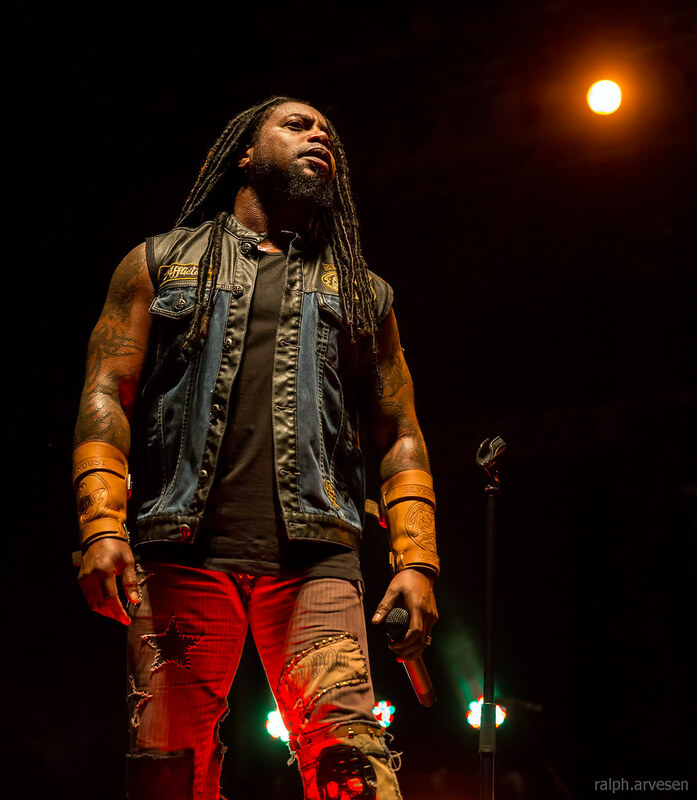 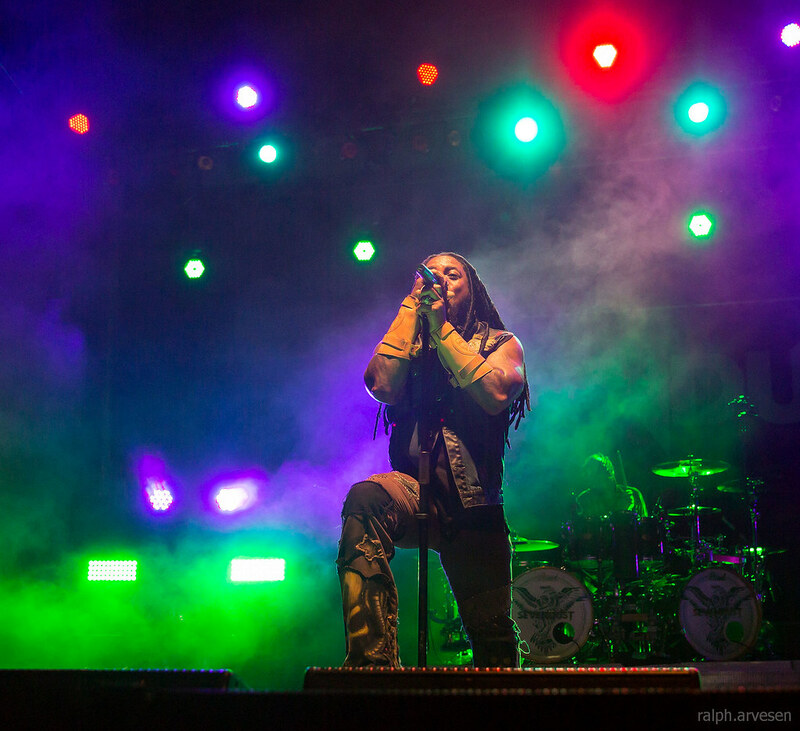 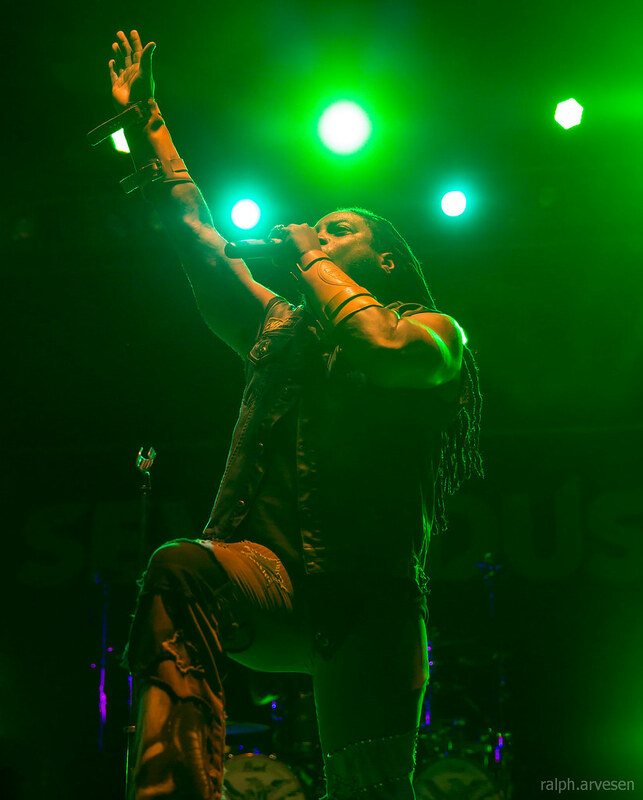 The Atlanta-based quintet Sevendust became one of the rising acts in late-'90s heavy metal with an aggressive blend of bottom-heavy riffs and soulful, accessible melodies. 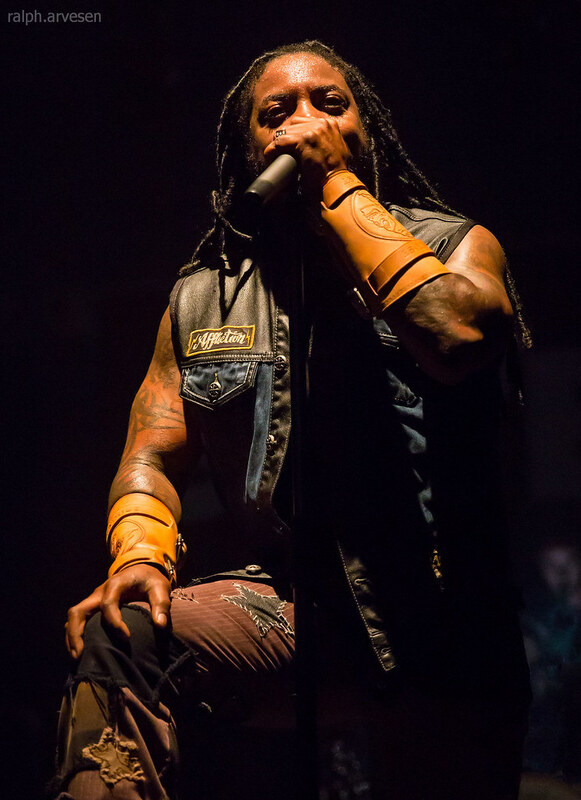 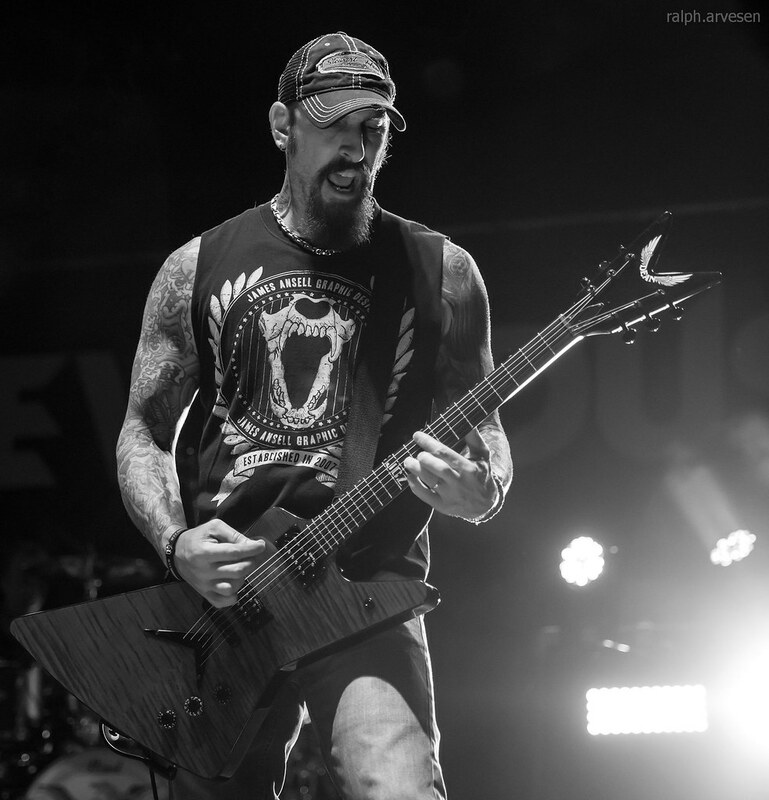 The band, comprised of frontman Lajon Witherspoon, John Connolly (guitar), Clint Lowery (guitar), Vince Hornsby (bass), and Morgan Rose (drums), first appeared in 1995 as Crawlspace, releasing the single "My Ruin" on the Mortal Kombat: More Kombat recording. 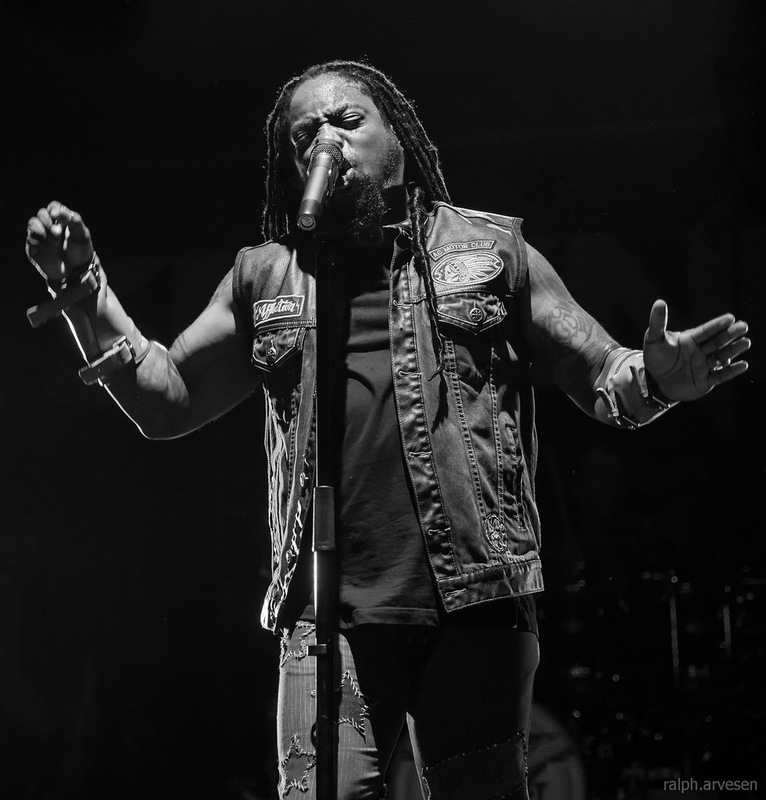 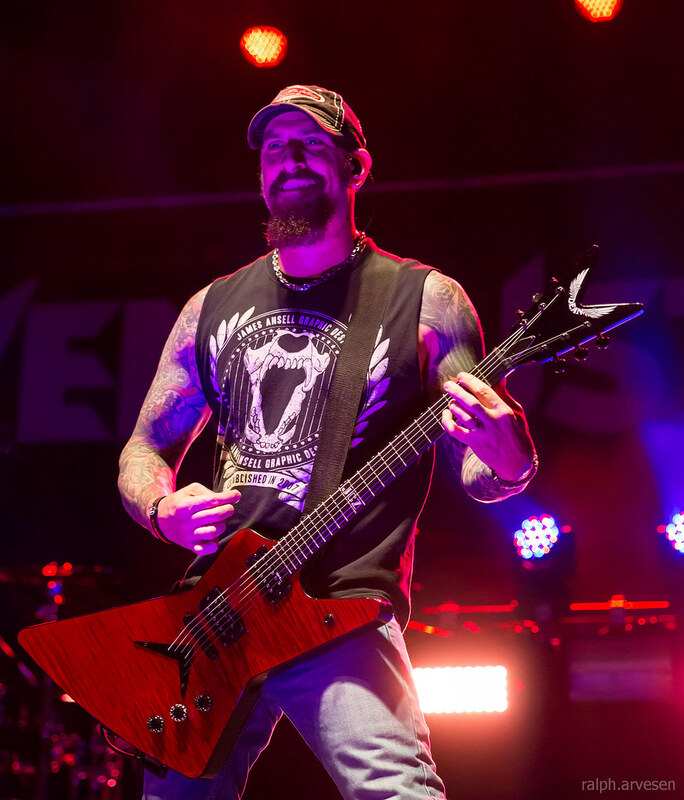 Shortly thereafter, the group changed its name to Sevendust and released a self-titled debut in 1997. 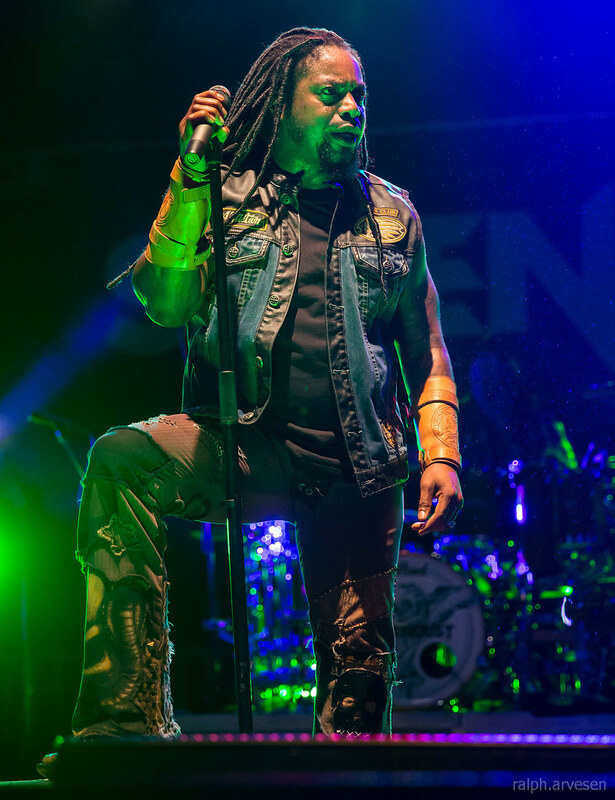 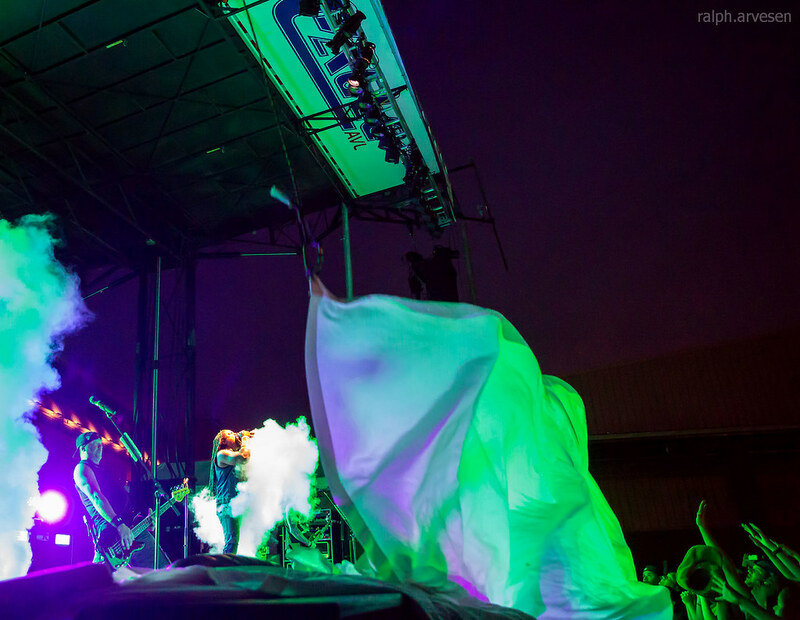 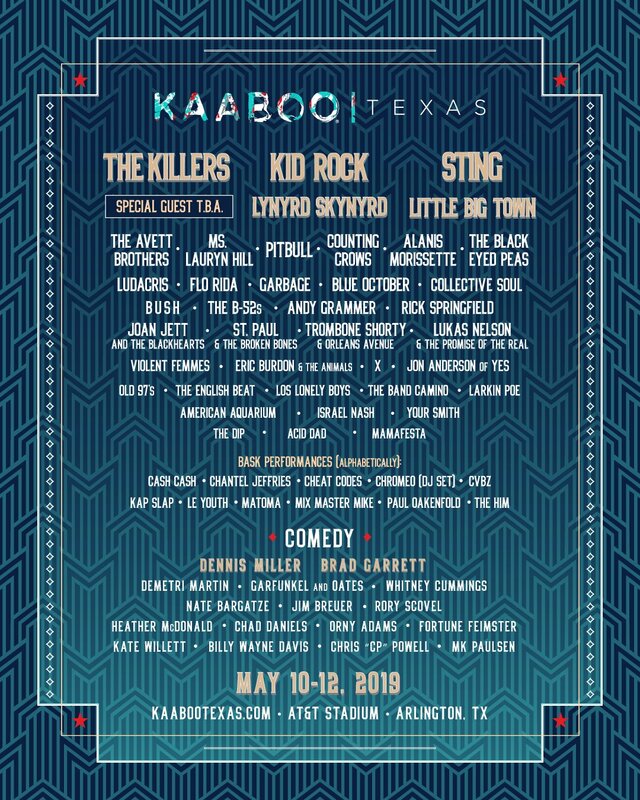 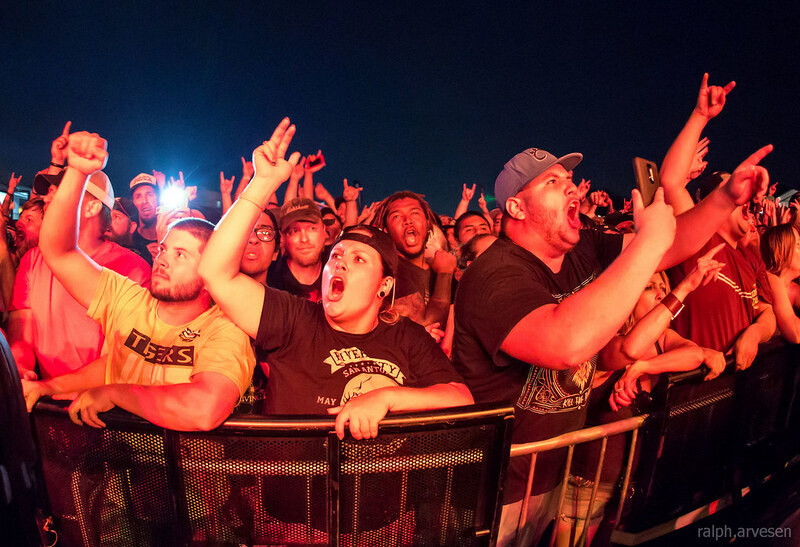 Two years later, the bandmates issued the gold-selling Home and played over 800 shows alongside such groups as Creed, along with a stop at Woodstock '99. 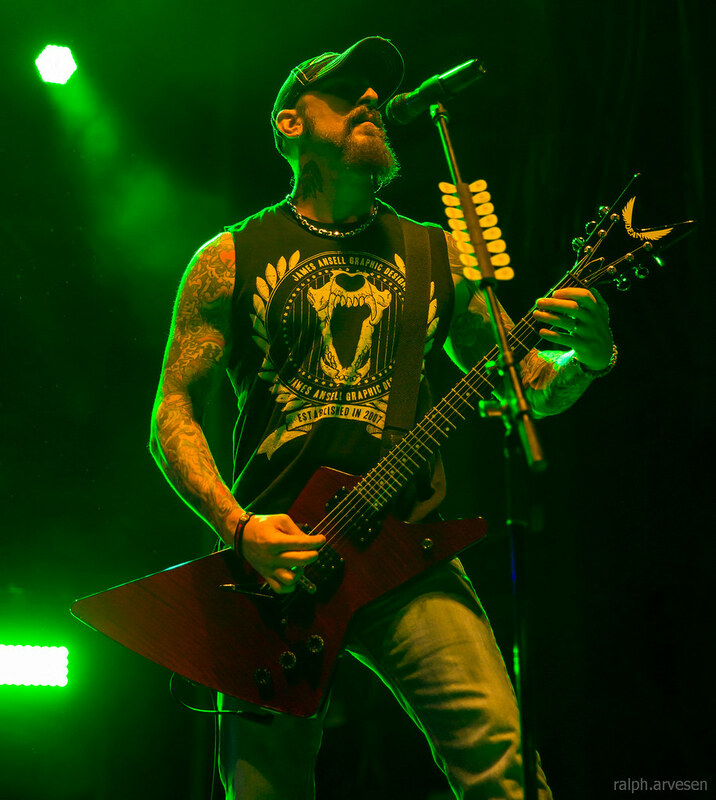 Their angst-ridden third album, the aptly titled Animosity, appeared in fall 2001, and Seasons followed in 2003.